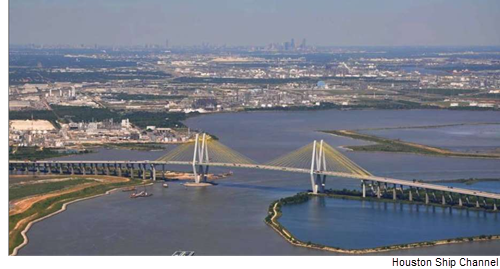 ​​​​​ ​​PASADENA – A joint venture between Valero Energy Corp. and Magellan Midstream Partners broke ground on Phase I of an $820 million marine storage facility located along the Houston Ship Channel. The facility will handle petroleum products including multiple grades of gasoline, diesel and jet fuel, as well as renewable fuels. Phase I of the development will include 1 million barrels of storage and a new marine dock capable of handling Panamax-sized ships or barges with up to a 40-foot draft. Phase II of the development will expand the property to include 4 million barrels of storage, a three-bay truck rack and a second marine dock capable of handling Aframax-sized vessels with up to a 45-foot draft. At completion, the facility will connect to Valero refineries in Houston and Texas City via pipeline. The property will also link to the Colonial and Explorer pipelines, as well as Magellan’s Galena Park terminal facility.